In this day and age, almost everyone is listening to digital music. And rightly so; it’s convenient, and you can listen to it from a range of devices, whether from the home or while on-the-move. Of course, we aren’t content with owning just the odd album or handful of singles to get us through the year. Instead, we like to own a multitude of tracks, hundreds or even thousands. In short, we love music! One of the great things about online backup is that it allows us to back everything up—thousands of albums!—and quickly too. We can then restore them should our computer be tapped on the shoulder by the pixelated hand of the tech world’s grim reaper. 4. 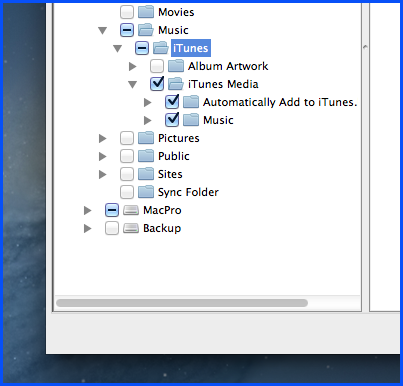 All music in your ‘iTunes Media’ folder is now set to be backed up! This is great—but only if you listen to music you’ve solely downloaded via iTunes (this music will always be stored in the ‘iTunes Media’ folder by default). The chances are, however, that you still listen to some music which was not originally purchased via iTunes (i.e. it was burned onto your computer via CDs, etc). 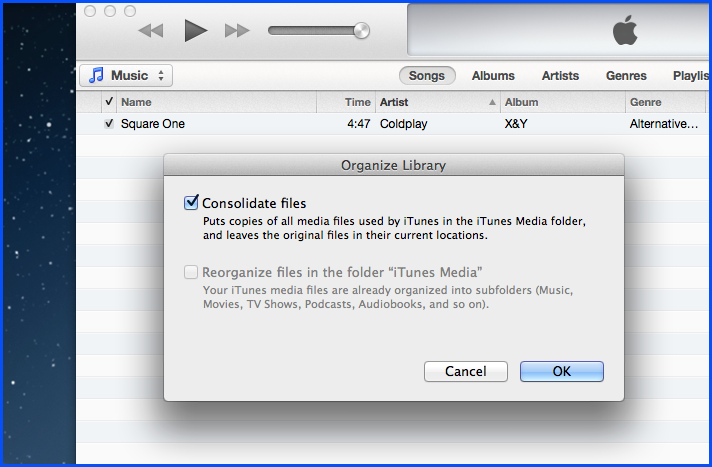 Though you may listen to these files through iTunes, this does not mean they are stored in the ‘iTunes Media’ folder. And it’s important to remember that. The iTunes application is a ‘viewer/projector’ of your music only, and not a hub that necessarily houses (in the ‘iTunes Media’ folder) the files it plays. You then proceed to play all 10 albums through the iTunes application. Realizing you have just listened to ten of the greatest albums ever, you have a sudden urge to back them up. 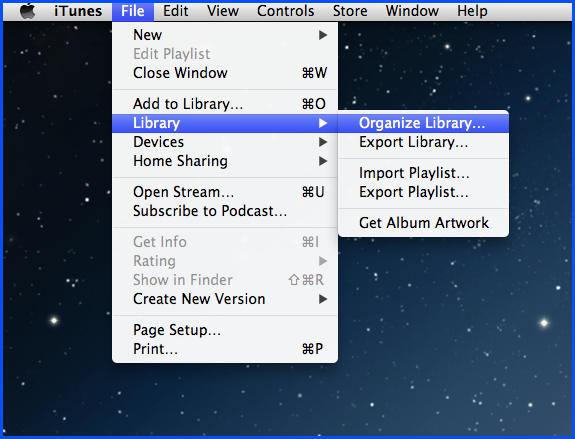 You think to yourself: This is a no-brainer—since I listened to all the albums through iTunes, I’ll do a manual select of the ‘iTunes Media’ folder (such as C:\Documents and Settings\username\My Documents\My Music\iTunes\iTunes Media) and that will take care of business. So what does this mean, then? That you need to manually select every separate location on your computer where your albums reside? Absolutely not—that might take some time, and will prove an impractical process for the future. Far greater would be to have a single location where your music files are stored—no matter where they’re currently sourced. We want them in one place, one folder, and to be backed up in a simple manner. What we want is organization. Otherwise it’s a nightmare! 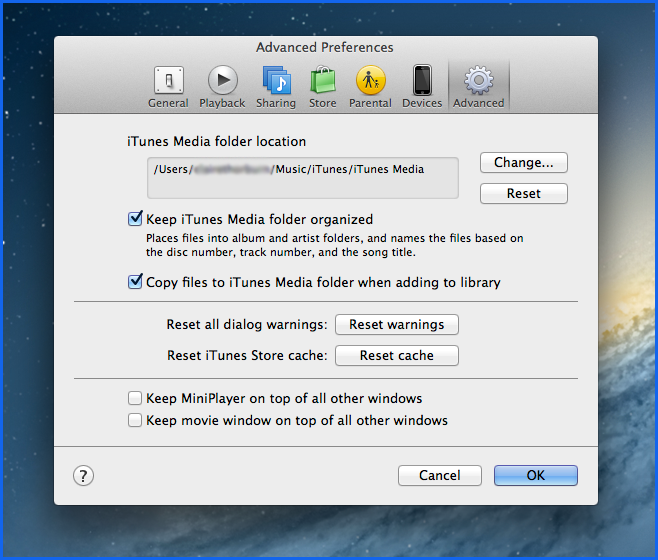 Any files which have a location different from the ‘iTunes Media’ folder will now be duplicated to it (this includes any files you listened to in iTunes in the past, and will also copy any you add to your iTunes library in the future)—meaning that the next time your backup takes place, every file will be backed up! You may be wondering what to do with the original music files which have now been copied. It’s entirely up to you what you do with them—though, if space is an issue, you might want to think about deleting them. And that’s it! All of those wonderful songs you listen to through iTunes are now organized into one folder, and are ready to be backed up for safekeeping! If you haven’t yet experienced our online backup services and are considering signing up, why not give our Free Trial Version a whirl? You can get to grips with our plethora of features and enjoy our ultra-user-friendly interface, all in your own time.